A major component of Sugar In Our Blood: The Spirit of Black and Queer Identity in the Art of Ramekon O'Arwisters, at the African American Art & Cultural Complex (AAACC), San Francisco, California in JUNE 2013 is The Spirit Tapestry Project. 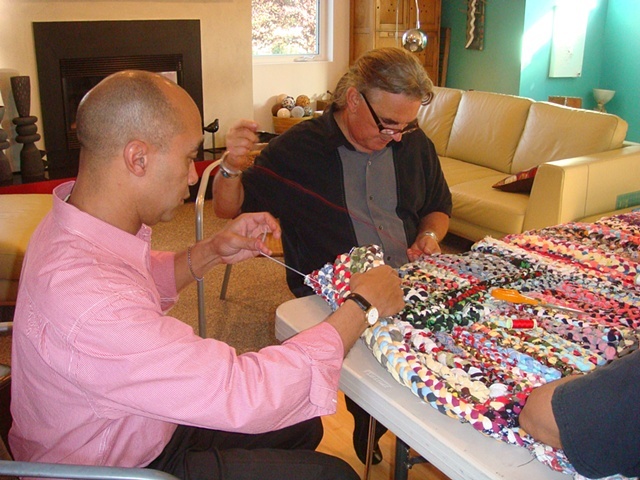 The Spirit Tapestry Project, a community-based project, comprises eight to ten large tapestries made from intimate apparel using the folk-art tradition of rag-rug making and crocheting. The Spirit Tapestry Project will be on display at the de Young Museum, San Francisco, during my artist-in-residence in April 2012.